The National Shipping Company of Saudi Arabia made its monthy stop in Halifax with the Saudi Abha. A Container and RORO vessel, she is simalar to vessels Used by ACL. NSCSA ships make a monthy stop in Halifax. 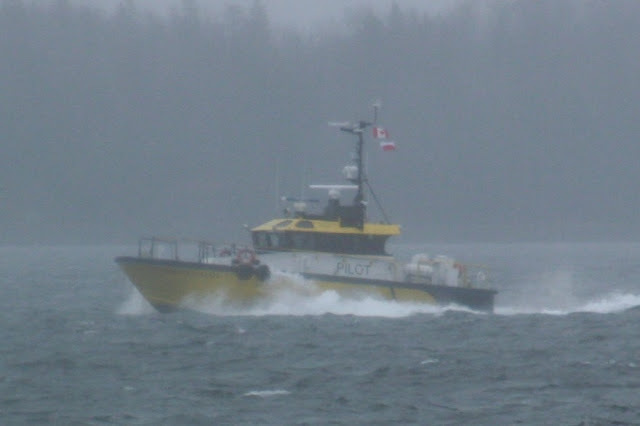 UPDATE 13/12 sources say this vessel is bound for the scrapers shortly and this was to be her last trip to Halifax. Todays arrival was Wet and Foggy. The Chebucto Pilot Precceded her arrival. This entry was posted in container ship, NSCSA on December 10, 2012 by Peter Ziobrowski.